Bioneers – leading US based non-profit organization. Bioneers Conference Oct. 19th-21st, 2018, San Rafael, California. re:Dome Sessions – conference forums in the dome from Standing Rock. Bioneers is a nonprofit organization that connects today’s most brilliant entrepreneurs, scientists, and visionaries with the goals of solving current environmental and social challenges. This past weekend, the National Bioneers Conference, themed “Pathways Forward” held its 29th summit in San Rafael, California. Bioneers vision is aligned with ours: to inspire an ecologically conscious and socially inclusive worldview by demonstrating models of human ingenuity. Since 1990, Pacific Domes has had a proud association with the conference, and again this year our team was honored to share our vision of the future. This year’s keynote speakers included: Michael Pollan, author of best-seller The Omnivore’s Dilemma and consultant for the 2008 documentary Food, Inc, Rebecca Moore, director of the Google Earth technology platform, and Kevin Powell, revolutionary activist and writer of several award-winning pieces on redefining manhood, democracy, and race in America. Top thinkers from around the globe also gathered under our geodesic canopy to create global solutions. 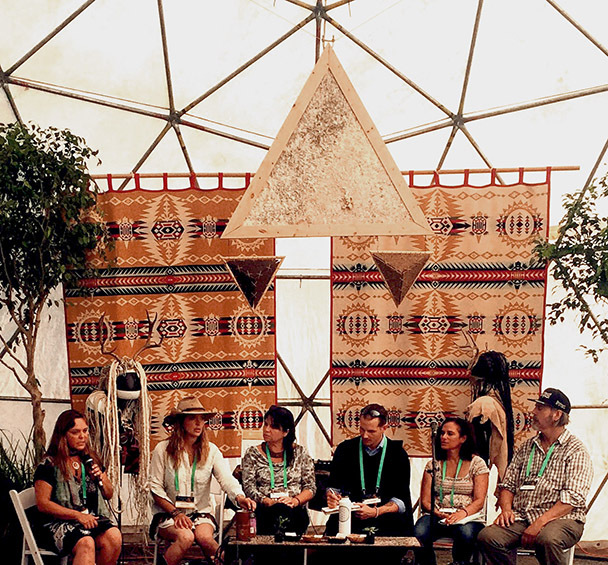 The 44’ event dome at the Bioneers Conference has hosted some of the world’s most revolutionary activists. This year, the eco shelter dome that also stood tall at the Standing Rock protest was utilized as a panel discussion space renamed the re:DOME. Many of the re:DOME discussions focused on regenerative agriculture and the permaculture movement. Our team was proud to discuss the versatility of our greenhouse domes with attendees and speakers. We are grateful to have been a part of Bioneers this year, as the time for change has never felt more urgent. 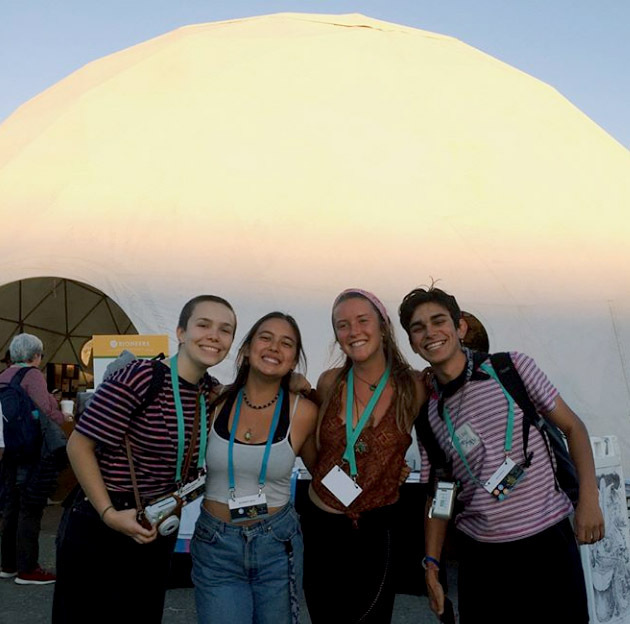 Sharing a space with The Buckminster Fuller Institute, our team was able to share visions of self-sustaining communities, efficient living, and global peace with everyone who participated in the re:DOME sessions. The collective passion of this weekend has affirmed that a brilliant future is still possible and on its way. 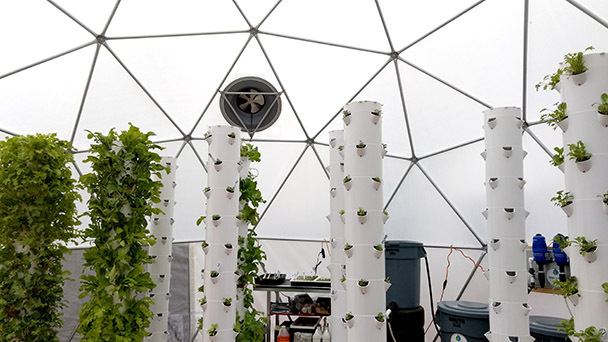 Previous Post:Domes Survive Wildfire and Flood!